Bestel 39-Storey Treehouse voordelig bij de grootste kinderboekwinkel van Nederland. Levertijd 1 dag. 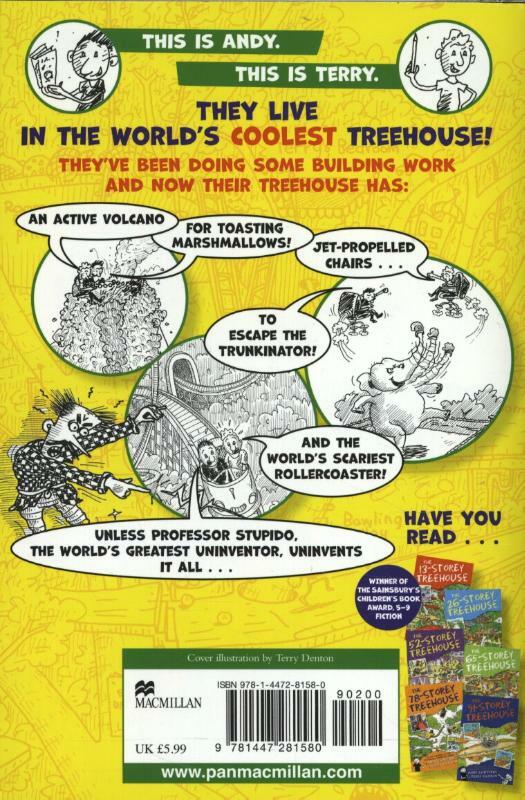 Andy and Terry's amazing treehouse has thirteen new levels! They've added a chocolate waterfall you can swim in, a volcano for toasting marshmallows, a bulldozer-battling level, a baby-dinosaur-petting zoo, a not-very-merry merry-go-round, a boxing elephant called the Trunkinator, an X-ray room, a disco with light-up dance floor, the world's scariest roller coaster and a top-secret thirty-ninth level which hasn't even been finished yet! But what good is all this stuff when Andy and Terry are trying to write their fastest book ever? 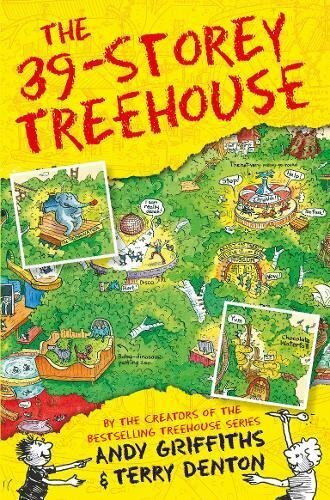 You'll have to read it to find out!The 39-Storey Treehouse is the third book in Andy Griffith's and Terry Denton's wacky treehouse adventures, where the laugh-out-loud story is told through a combination of text and fantastic cartoon-style illustrations.